Philippine Airlines (PAL) is the national flag carrier of the Philippines and Asia's first airline. 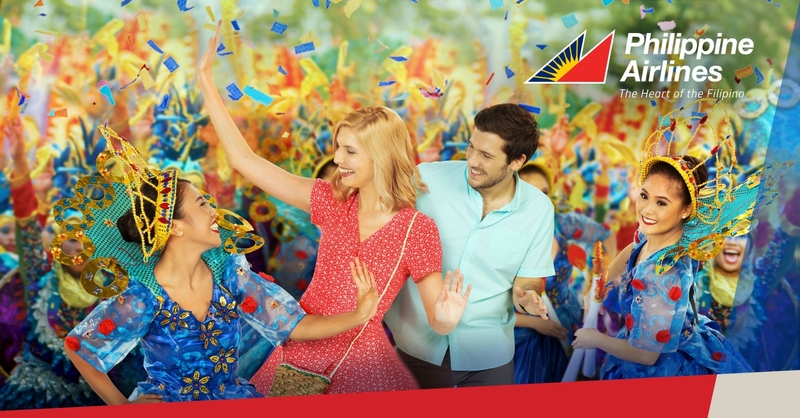 As PAL continues to strengthen its brand story of delivering heartfelt customer service, it launches a new Brand Equity campaign poised to win over foreign leisure travellers from international markets with the theme: "Experience the Heart of the Filipino". With a rich 76-year history, PAL boasts of many 'firsts' -- including being the first airline in Southeast Asia to cross the Pacific on July 31, 1946, the first to operate to Europe via a DC-4 service to Rome and Madrid, and the first to introduce the world's first fully-flat sky beds aboard the B747 jumbo jets, among many others. Today, PAL has the largest fleet among other PH carriers with a total of 83 aircraft at present and is expecting delivery of two Boeing B777s within the year, six Airbus A350s starting June 2018, 21 Airbus A321NEOs starting first quarter 2018, and 10 more Q400 Next Generation turboprops. The airline will continue reconfiguring its Airbus A330s into tri-class layout. PAL carried a total of 13.4 million passengers last year, a 12.6 percent uptick from 11.9 million passengers served in 2015. Philippine Airlines is in the midst of its journey towards becoming the country's five-star full-service legacy carrier at par with the world's largest carriers. To reach this goal, it has embarked on both in-flight and on-ground service enhancements together with the introduction of its distinct service philosophy "Heart of the Filipino" embodying the nation's culture of warmth, care and trademark hospitality, that is now being recognized by the world. Airline rating firm Skytrax ranked PAL as "6th Most Improved Airline" in its most recent world airline awards, considered the 'Oscars' of the aviation industry. Industry online publication Smart Travel Asia also named PAL as the 4th Best Airline Worldwide in Cabin Service". The campaign, which kicks off with a digital video on PAL's Youtube Page here: https://www.youtube.com/watch?v=O_-B_jBovVc showcases the best of the Philippines and celebrates the best of Filipino values on which PAL was built, known as Buong-Pusong Alaga or "The Filipino Touch". This unique brand of hospitality that's proactive and selfless, and a disposition and attitude that's resilient and always cheerful, is what sets Philippine Airlines apart from its competition as the airline with #MoreHeart.